Yesterday my sister and I went to visit my aunt in her new house, Regency Heights. We spent our whole afternoon time at there. While reach 7.00pm, my uncle came back and brought us to nearly Medan Bayan to taste for some hawker foods. This place last time was crash by the construction problem for few years. Few years ago, peoples came and be hawker and open stall here, until today just got so many foods. Anyway, just show you what we ate last night. This was the place where we went yesterday. Do you been there before? 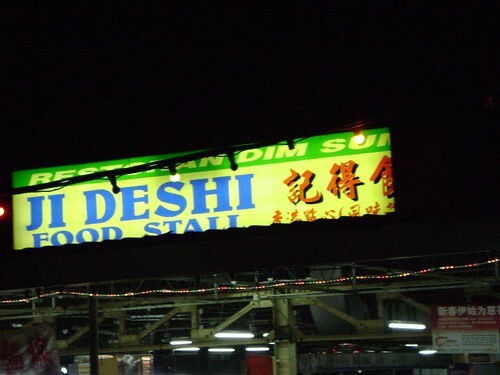 The DimSum from Sungai Ara was moved there for nearly a year ready! In the morning, their sure crowded with peoples. Yo, my sister's fried rice. She seems so clever, she knew that the place got a popular fried 'stuffs' stall. 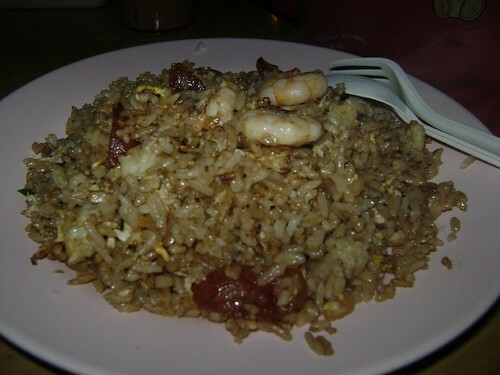 She went and called a plate of fried rice and a plate of 'char keow teow' for my aunt. Alright, this fried rice looked easy, but it's really not possible to fried it! It's tasty and so good smell. Cost RM 3.30. 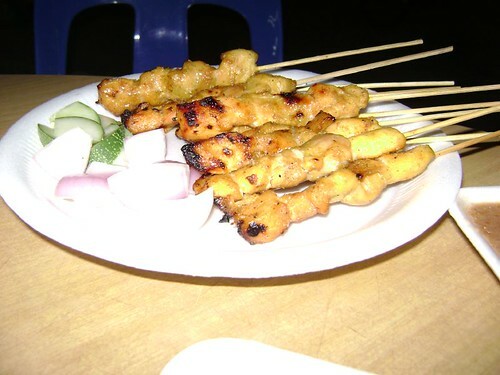 A plate of delicious satay is here! Yo, 10 pieces of satay slightly guess for how much. It's seems so nothing but when you taste it, you will know they are so delicious! While we wanted to go off for shopping. I quickly took out my camera and shoot for the process of making satay. 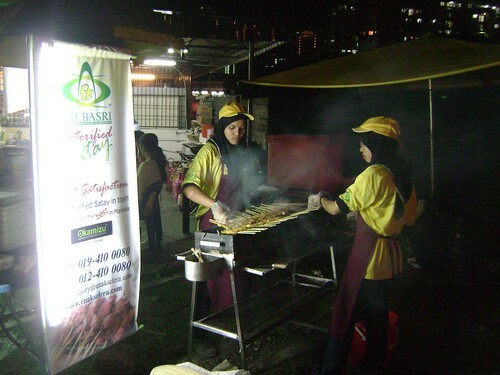 You just slightly observe they are using the charcoal to fire the satay, nowonder seems so tasty and delicious. Alright, this dinner is invited by my uncle. He said next time got chance and go eat again! 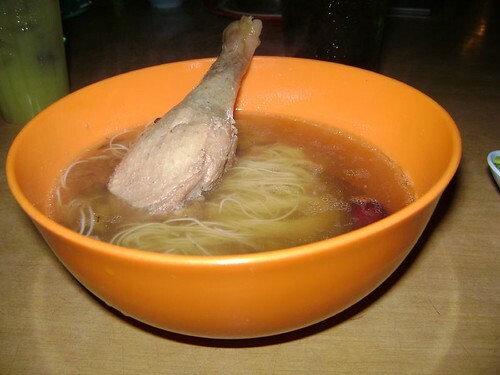 This dinner he spent RM35. He said this compare with eat in restaurant is really different. This just only simple, sit and eat call anything you like to eat and talk what you like to talk! Foods come, pay money. So simple right? Haha. Totally the cost also different la. XD.